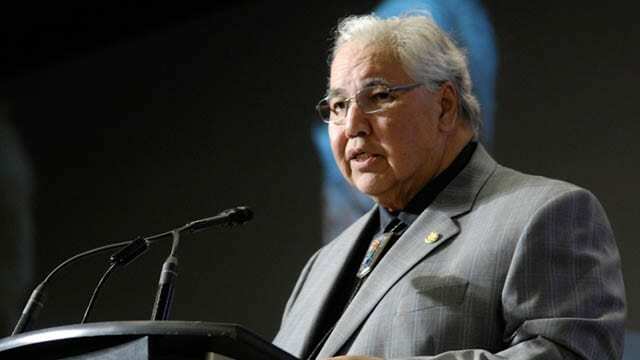 Sitting Senator Murray Sinclair was appointed as an investigator and tasked to look into the administration of the Thunder Bay police board. 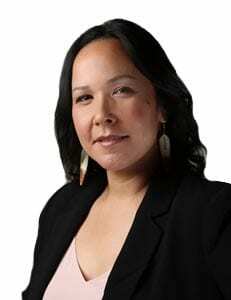 Sinclair, who also chaired the Truth and Reconciliation Commission was named to the job Monday by the Ontario Civilian Police Commission (OCPC). The OCPC investigation will look into “serious concerns” the OCPC has regarding the board, specifically their ability to address matters related to the deaths of Indigenous youth, public statements from the board that there is no basis for public concerns of systemic racism within the service, and the recent criminal charges laid against the police chief. The OCPC is a provincial tribunal with a mandate that includes ensuring police service boards are providing efficient oversight of police services. Sinclair was the first lndigenous Judge in Manitoba, working in the justice system for 25 years before chairing the TRC and then being appointed as an independent Senator in 2016. In May, First Nations leadership including Nishnawbe Aski Nation and Grand Council Treaty #3 called on the OCPC to intervene in what they were calling a policing crisis after the bodies of two First Nations youth were found in Thunder Bay rivers. Tammy Keeash, 17 years and Josiah Begg, 14 years, were both reported missing the same night on May 6. Keeash’s body was found on May 7 and Begg’s on May 18. The families of both Keeash and Begg are looking for answers as to how their children ended up dead in the river. Under the direction of the Chief Coroner of Ontario, the York Regional Police are now working on both death investigations. There has been heavy criticism and concern over the city’s death investigations of First Nations people, particularly young First Nations. It was a focus of the student inquest that examined the deaths of seven First Nations students attending high school in the city between 2000 and 2011. Five of those students were found dead in city rivers. In that inquest, a jury could not conclude how they ended up in the rivers, just that they had drowned. The troubles for the police service haven’t stopped. Last November, the province’s police watchdog, the Office of the Independent Police Review Director started its investigation of the service for systemic racism and how it deals with Indigenous people in the city. This was sparked by a complaint filed by the family of Stacey Debungee over the way the police handled the death investigation after the man’s body was found in the river in 2015. Police ruled out any suspicion of foul play within hours of his death, prompting concerns over the quality of police work when investigating Indigenous deaths. Hours before Begg’s body was found, the Office of the Independent Police Review Director Gerry McNeilly said the city’s police service was “in a bit of a crisis”. It’s a claim that has been shared by First Nations leaders and families but adamantly refused by the city’s police service and its administrating board. As if the deaths of two First Nations teens wasn’t harrowing enough for a city already in the national spotlight for crime and racism, the Chief of Police J.P. Levesque was then charged with breach of trust and obstructing justice for allegations he disclosed confidential information about the city’s mayor Keith Hobbs. Just last week, Hobbs and his wife Marisa were charged with obstructing justice and extortion in what the city called a “personal matter” not related to city business or issues. In June, the board and service held a joint press conference to say they believed they were going through “challenging times”, but not a crisis. Acting Chief Sylvie Hauth said despite the troubling list of concerns which include the OIPRD investigation, criminal charges against the police chief and concerns over death investigations, it was “business as usual” for the service. According to a tbnewswatch report in May, Board co-chair and city councillor Brian McKinnon said there is no evidence or facts to back up accusations against the police service in the OIPRD investigation. Five days after that news report was published, the OCPC advised the police board of its investigation. Last week, a First Nations man died after being locked up in a Thunder Bay police jail cell. The province’s Special Investigation Unit (SIU) is investigating. OCPC said its investigation is not punitive but in the public interest of ensuring the board is meeting its obligations. Both the board chair and acting chief have said they will cooperate with both investigations and implement any recommendations it receives. On Friday, Mayor Keith Hobbs, and two others were charged with extortion. Hobbs is a former police officer in the city. And in May, JP Levesque, the city’s police chief was charged with obstruction of justice. The OCPC says an interim report will be completed by the end of October 2017 and a final report of their investigation will be completed by March 31, 2018. The OIPRD final report is expected to be completed by the end of 2017. I have complete faith in Mr. Sinclair’s abilities and I hope he is finally able to ‘take out the trash’, Authority figures that abuse their ‘power’ and care nothing for their fellow Canadians disgust me. Where the hell are we anyway? Did we travel back in time when this was normal behaviour? Oh thank goodness maybe now we can have some light on what is going on in Tunder Bay.